In Chicken Riot it's time to get out your good ole' gun and save the farm. Believe it or not, you're facing an all out chicken rebellion! If you don't want to have your dwelling ruined, you'd better shoot the wretched hens that are running amuck. Shoot them on the ground and in the air, as they swoop down on you. Drive them from your farm and from the graveyard... No wait, the graveyard is exactly the place where you want them! 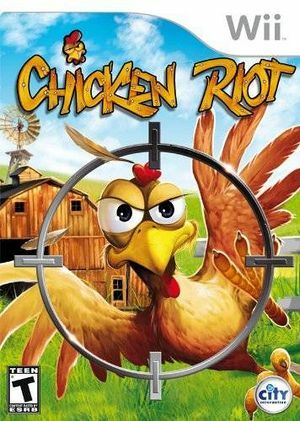 Redneck Chicken Riot for the Wii is a hilarious on-rails shooter game fun for the entire family! The graph below charts the compatibility with Chicken Riot since Dolphin's 2.0 release, listing revisions only where a compatibility change occurred.